The Julia Tuttle Causeway carries State Route 195 across Biscayne Bay. It includes a highway on a human-made island in the middle of the bay and bridges at the two ends. The western bridge (FDOT #870301) is 2120 ft long with steel girder spans. The eastern bridge (FDOT #870302) is 1138 ft long with precast girders on parallel two column bents (shown below). Both bridges were built in 1959 and widened in 1990/1991. Julia Tuttle is considered to be the founder of Miami. At the end of the 19th century she owned a large portion of the land in the area and successfully promoted it for development. 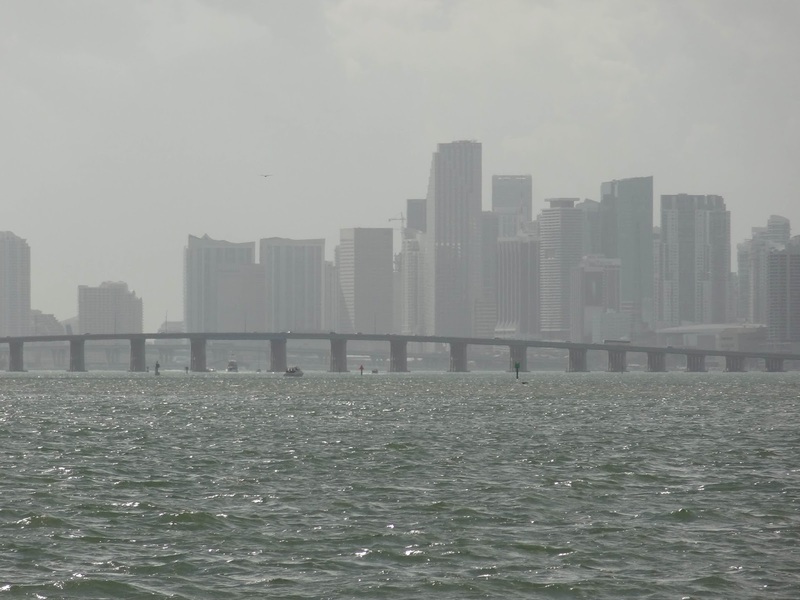 The Julia Tuttle Causeway became famous because for several years the island was the only place that sexual offenders released from prison in Miami-Dade County were allowed to live. Miami-Dade County, Florida Bridges: Julia Tuttle Causeway across Biscayne Bay by Mark Yashinsky is licensed under a Creative Commons Attribution-NonCommercial-NoDerivatives 4.0 International License.